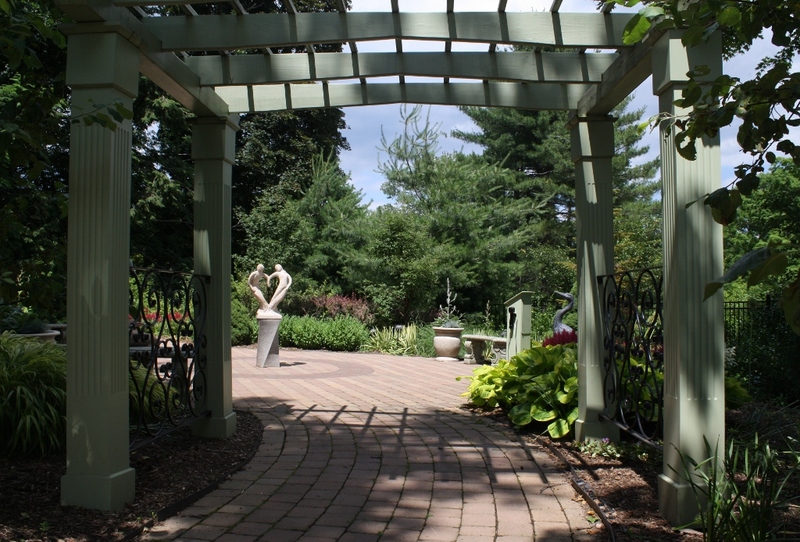 Wickham Park in Manchester, Connecticut, includes a variety of themed gardens, the newest of which is a ¾-acre sensory garden. It’s a lush and peaceful place, with distinct spaces devoted to each of the senses. 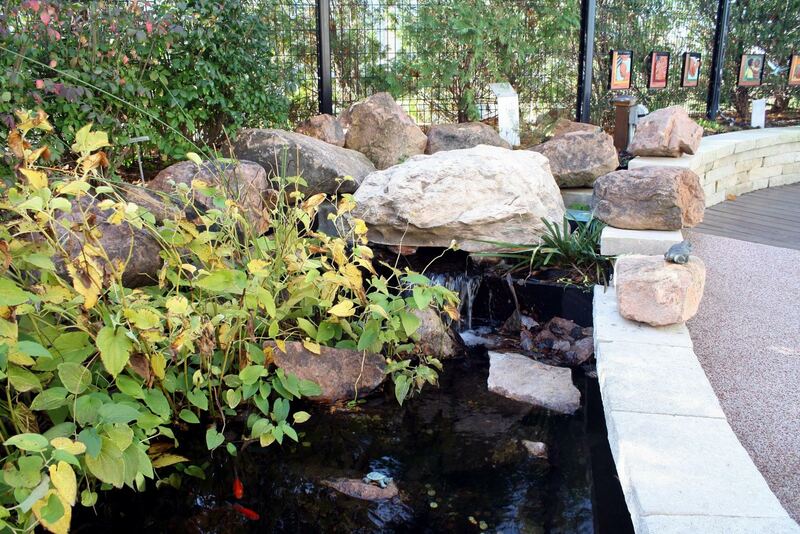 These types of gardens are very beneficial for people of all ages and abilities, gently stimulating the senses and serving as an educational tool. 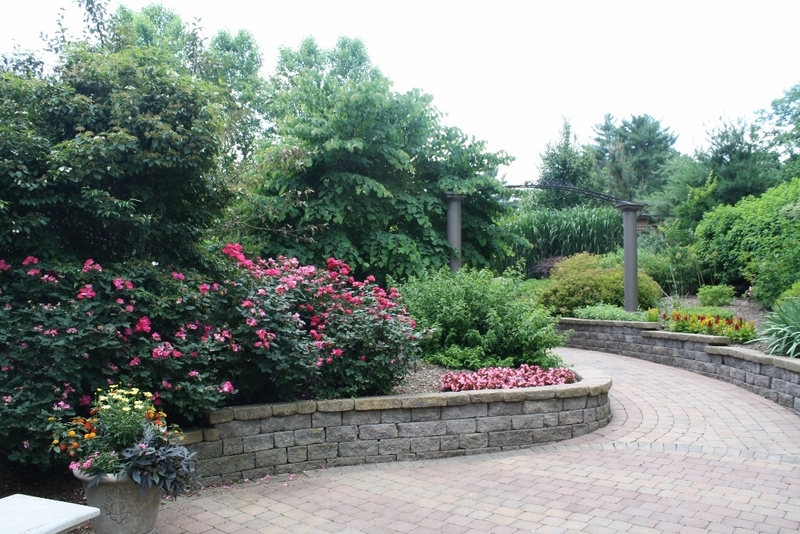 This garden has a large variety of plantings, and is fully wheelchair-accessible. 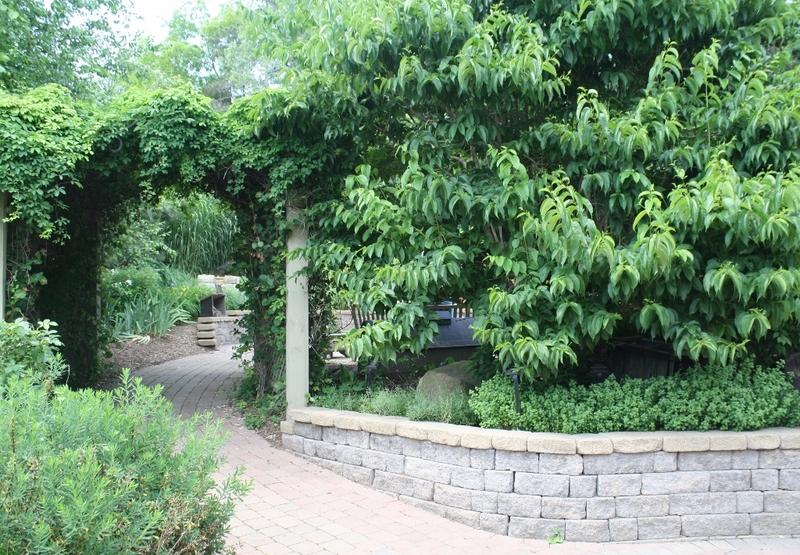 Pergolas and gateways separate each of the spaces – I particularly like those that are covered in vines. Although I might have designed this garden somewhat differently (perhaps with other types of seating and sculptures), I’m glad I had the opportunity to visit it. 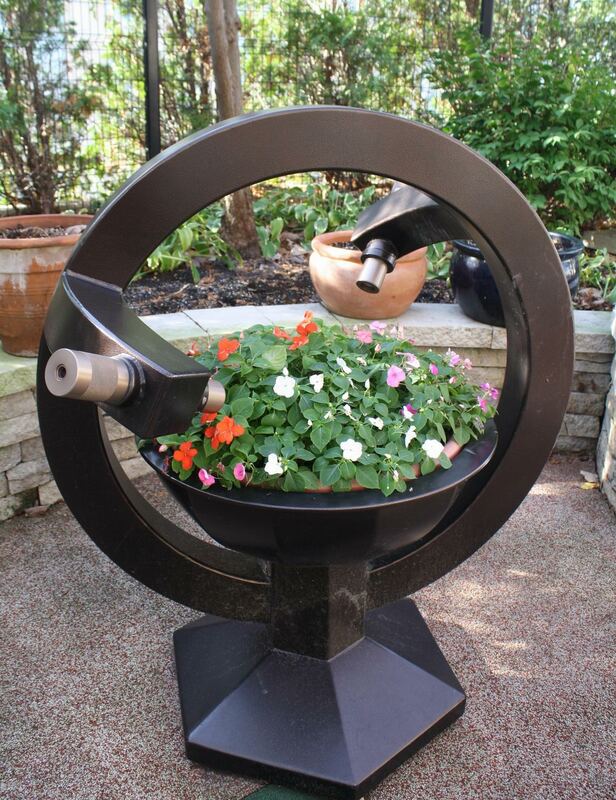 The sight garden contains colorful plants and a few with interesting shapes. 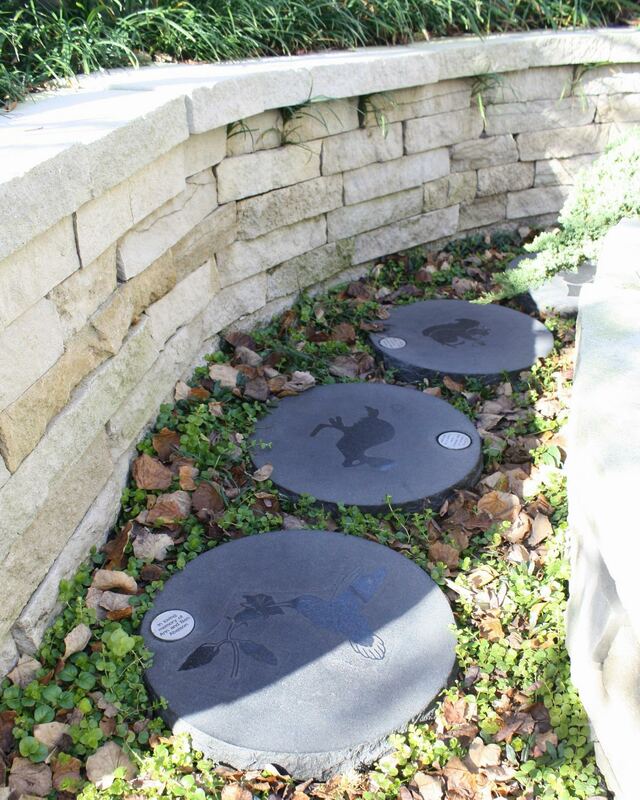 The sound garden includes running water, wind chimes, and plants with leaves that tend to rustle in the wind. 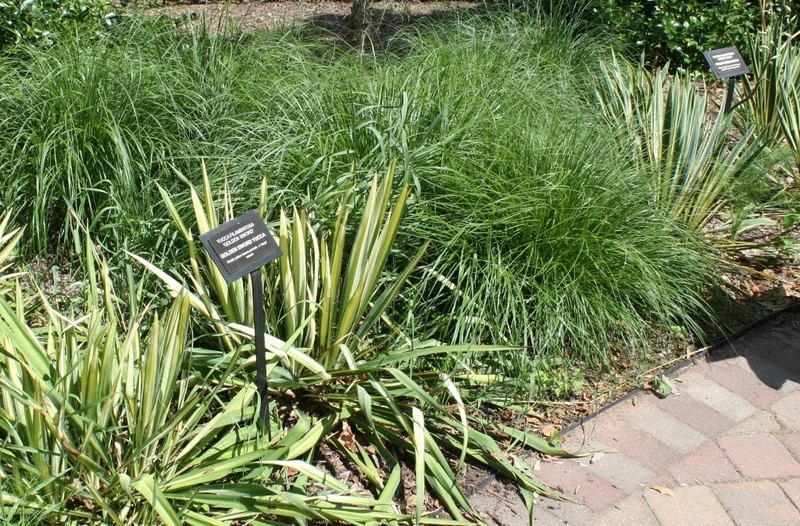 Plants with scented foliage and flowers are featured in the smell garden. 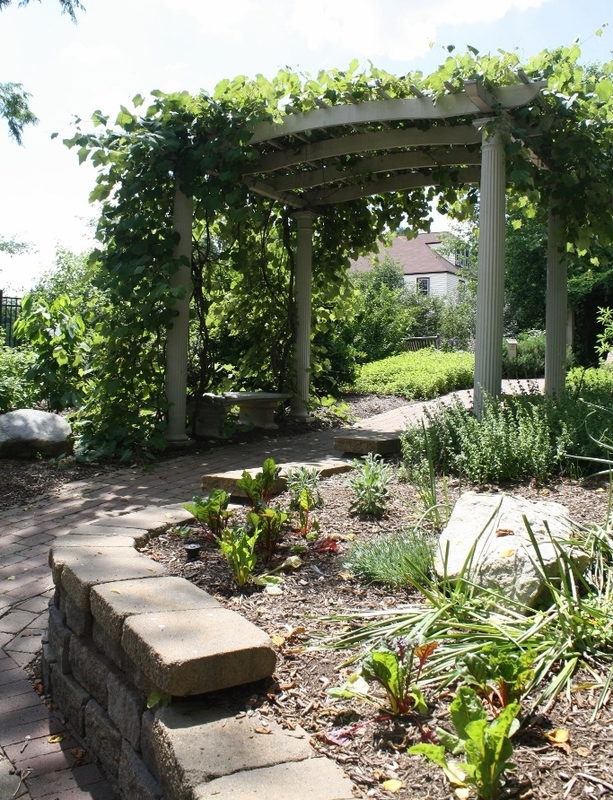 A variety of edible plants and plant parts can be found in the taste garden, including vegetables, fruits, and nuts. 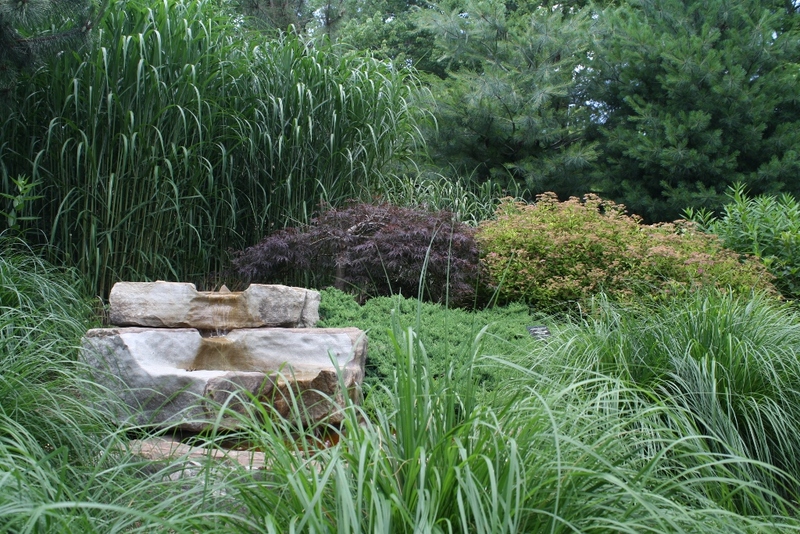 Entry to the touch garden – this space features plants with various textures. 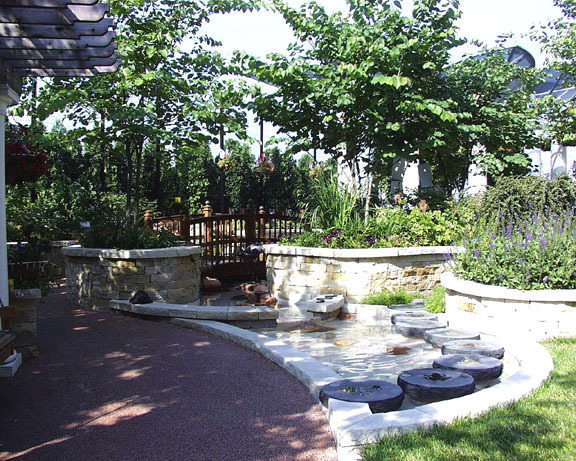 In recent years, outdoor garden spaces at hospitals have become more common, and are often included with the construction of new health care facilities. 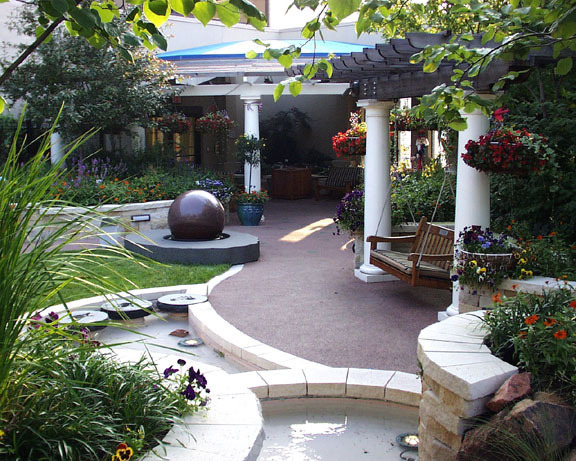 They are usually referred to as therapeutic or healing gardens. Studies have shown that access to nature in hospital settings can reduce pain and relieve stress, which in turn enhances the immune system and speeds healing. 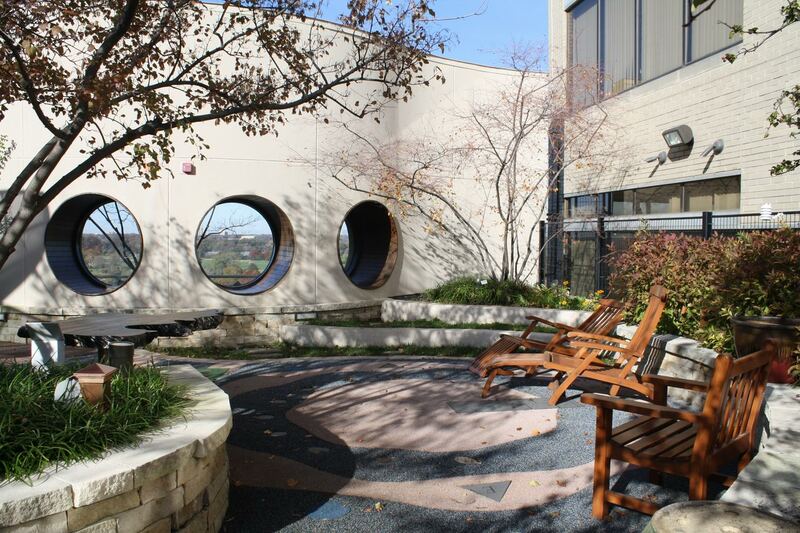 Patients aren’t the only ones to benefit; their families and heath care staff can attain relaxation in these spaces as well. 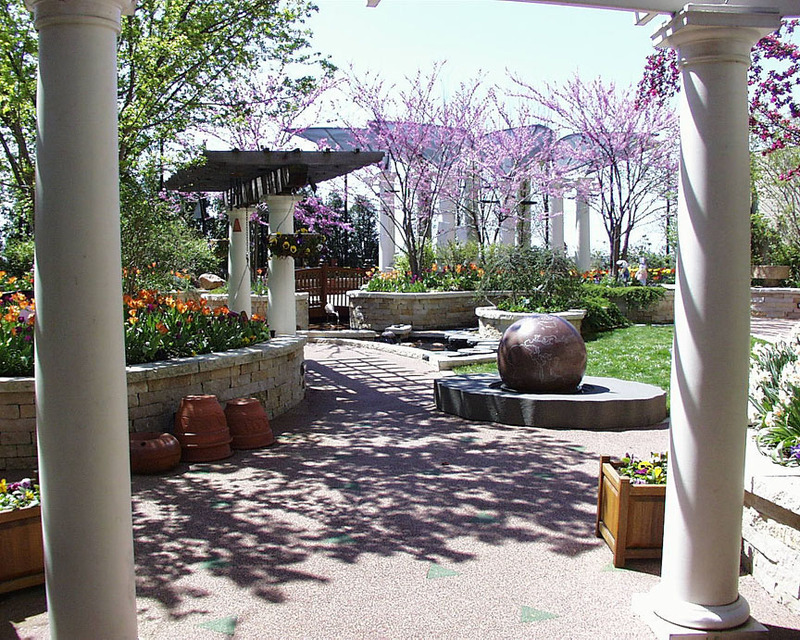 In October I had the pleasure of visiting the Olson Family Garden at St. Louis Children’s Hospital (in St. Louis, Missouri). The staff horticultural therapist kindly gave me a tour of this delightful space. Built in the late 1990s, this 8,000-square-foot rooftop garden is dominated by a lush array of greenery, mostly in raised planters, and also seasonally in movable pots. An abundance of plant materials is important in any type of outdoor healing setting. 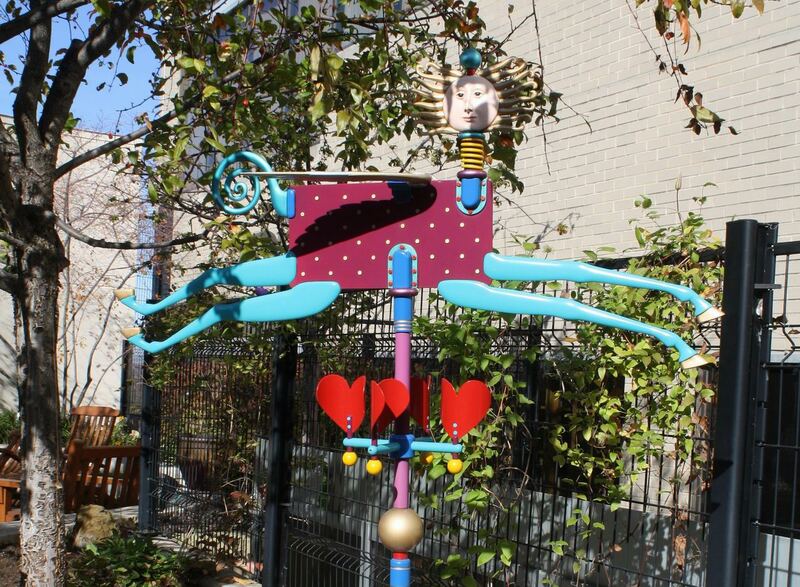 This space also includes winding paths; stepping stones through a shallow pool; fountains; interesting and fanciful art pieces; a goldfish pond; various resting spots; movable furniture; and telescopes for viewing a large park near the hospital grounds. Furthermore, the garden is lit for nighttime access and viewing. This garden isn’t just for passive enjoyment, however. Horticultural therapy sessions are facilitated in this space, where patients engage in gardening and associated activities. These sessions have many social, psychological, physical, and cognitive benefits. In addition, programs involving crafts, puppet shows, music, and storytelling brighten the spirits of the children. This beautiful scene in the garden is in springtime, viewed from the entrance. A rolling sphere fountain can be seen in the foreground. Blooming Redbud trees are situated in front of a circle of columns topped with translucent leaf-shaped panels, symbolizing nature. 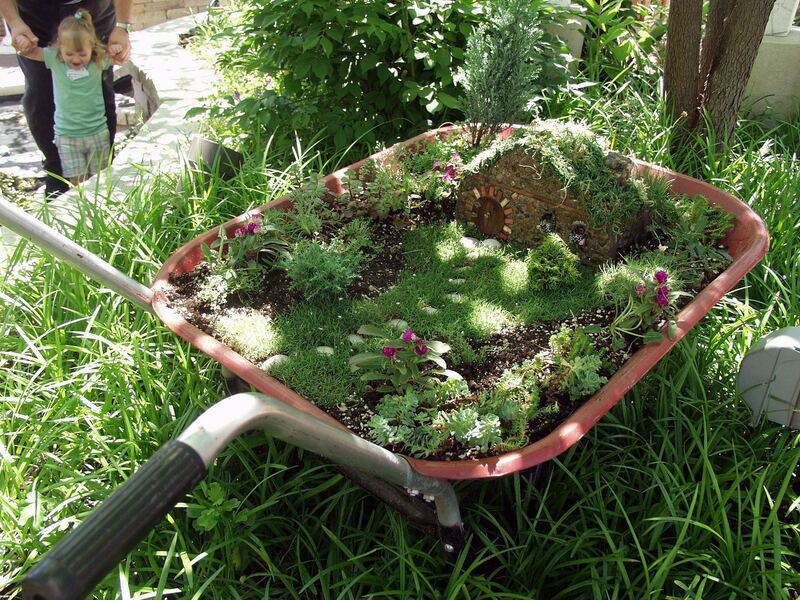 This miniature garden appeals to all ages. …and continue between two raised planters. 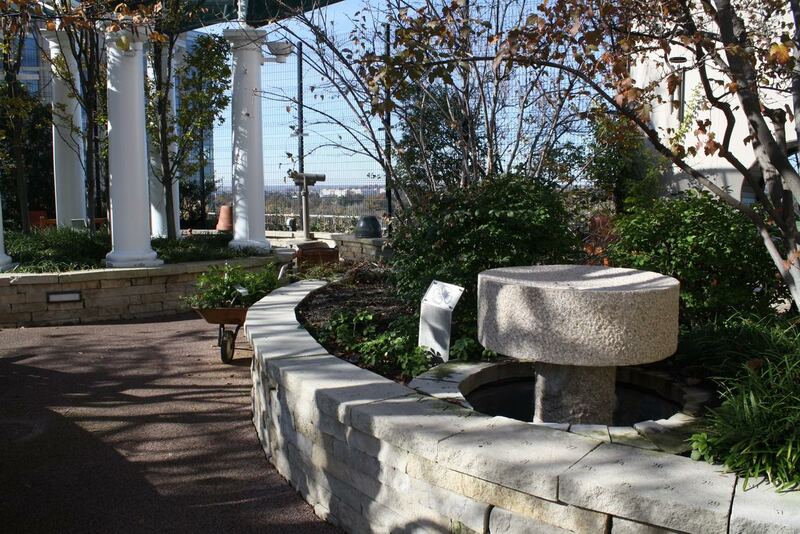 In the foreground is one of several fountains in the garden (turned off for the season). Long-range telescopes, in the background, allow visitors to view Forest Park. First four photos by Gary Wangler, Horticultural Therapist, St. Louis Children’s Hospital.